If you follow the news, the 21st century doesn't seem to be going so well. From 9/11 to the Great Recession, the Syrian civil war, the Ebola epidemic, growing inequality, racial unrest and bitterly contested elections, the world seems to be sinking into chaos and hatred. Moralizing commentators tell us that the decline of religious belief and close-knit communities has left us spiritually adrift, without a grounding in moral values, so it's no wonder we're suffering through an epidemic of loneliness, unhappiness and suicide. and then there are the futurologists who speculate on what will finish us off first: resource wars, nuclear annihilation, unstoppable climate change or robots that steal our jobs, enslave us and turn us into raw materials. But, as Steven Pinker argues in this landmark new book, we do not truly inhabit a dystopia of deprivation and violence: In fact, every global measure of human flourishing is on the rise. We're living longer, healthier, safer and more affluent lives-not just in the West, but worldwide. Why? In Enlightenment Now, Pinker proposes that human progress is the gift of a coherent value system that many of us embrace without even knowing it. The values of the Enlightenment underlie all our modern institutions and deserve credit for the stupendous progress we have made. The progress we have enjoyed is not, of course, an excuse for complacency: Some of the challenges we face today are unprecedented in their complexity and scope. The way to deal with these challenges, Pinker argues, is to treat them as problems to solve, as we have solved other problems in our past. 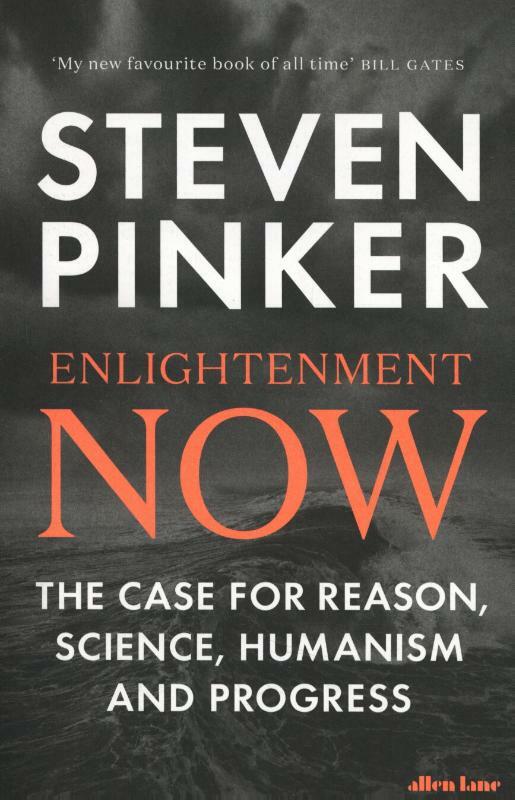 Putting the case for an Enlightenment newly recharged for the 21st century, Pinker shows how, by using our faculties of reason and sympathy to understand the world and to enhance human flourishing, we can tackle problems that inevitably come with being products of evolution in an entropic universe.